Any Windows user will be familiar with the blue screen of death (BSOD), something I have seen myself many times over the years, well it seems like the latest Microsoft Security update has added a new error screen to a number of PCs, the Windows Black Screen Of Death. The Windows Black Screen Of Death seems to be effecting multiple version of Windows, which include Vista, XP and the new Windows 7, users are getting a black screen with an error message after logging on to the system. Firstly, there appears to be many causes of the black screen issue. The symptoms are very distinctive and troublesome. 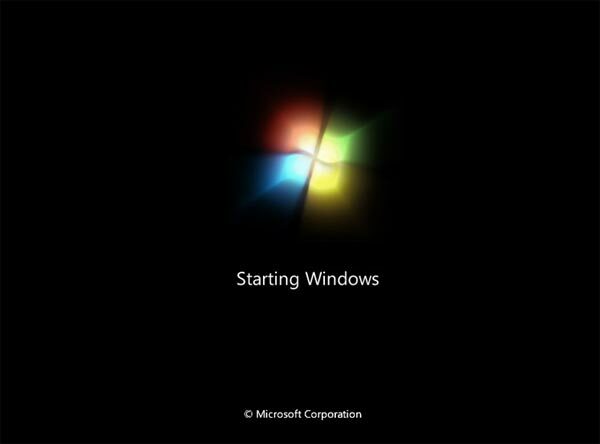 After starting your Windows 7, Vista, XP, NT, W2K, W2K3 or W2K8 PC or server the system appears normal. However, after logging on there is no desktop, task bar, system tray or side bar. Instead you are left with a totally black screen and a single My Computer Explorer window. Even this window might be minimized making it hard to see. Microsoft are said to be investigating the Windows Black Screen Of Death, and they haven’t actually confirmed it as yet. Luckily it seems that software firm Prevx have found a fix for the problem, so if you have been effected you can follow their instructions on how to fix it.